If there is something that characterizes the Canary Islands is the climate and the magnificent temperature in any month of the year. However, Fuerteventura is characterized by something unique and special: its secret beaches. Both residents and tourists love the beaches of Fuerteventura for its spaciousness, the nature that surrounds them, the tranquility and the atmosphere that breathes in them. Therefore, it is the ideal destination to relax, unwind and enjoy. We reveal the most hidden beaches of Fuerteventura! You can enjoy them as if it were a private place, almost nobody knows them and there is hardly an influx of people in them. Take note! Located in the municipality of La Oliva, it is one of the most hidden beaches on the island and its difficult access means that only the majoreros frequent it. In the town of Tindaya, you must take a dirt road that will take you to Playa de Tebeto and Playa de Jarugo. 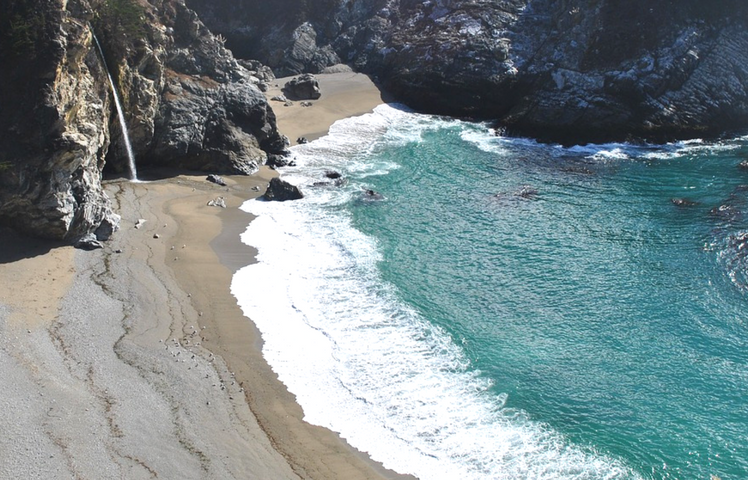 Tebeto is an incredible wild beach created from the mouth of the ravine of the same name. Its strong swell makes bathing dangerous, so you should exercise extreme caution when cooling down. If you are one of those who like to walk along the shore, you can visit the small coves that are on both sides of Tebeto Beach. In addition, it is an ideal beach to practice nudism. In the municipality of Betancuria is this magnificent beach at the foot of the ravine of Junquillo. In Aguas Verdes you must take the dirt road to Camino del Junquillo. This beach is past Playa del Valle. In addition to enjoying a bath and a relaxing day at the beach, you can also discover a path that will take you to ponds and inlets such as the Calets Mansos or the Peña de Agua Salada. The volcanic sand that covers Playa del Junquillo is used to alleviate skin diseases such as eczema or psoriasis. Very close to Tebeto Beach is the Playa de Jarugo. To access it you must take the dirt road that leaves Tindaya. A fine, brown sand covers the surface of the wide beach, sheltered by two large cliffs. In Jarugo you will enjoy the tranquility of Fuerteventura since only the inhabitants of the island are those who know it. As with Tebeto Beach, depending on the month in which we visit, the waves can be strong and therefore we should exercise caution when bathing. Close to the town of Pájara, Playa de la Solapa is one of the most paradisiacal and spectacular of Fuerteventura. On the road FV-617 towards La Pared and Costa Calma we will arrive at a detour with the indication La Solapa-Garcey that will take us to Playa de la Solapa. Its golden and black sand makes it one of the most incredible beaches on the island. A place not frequented by tourists and perfect for practicing nudism. Being in the west of Fuerteventura, its waves are very strong so you should be careful when bathing. A must see is Garcey Beach, considered one of the most beautiful beaches on the island. Upon entering this coast we can see remains of the American Star, a ship that was wrecked on the coast of Fuerteventura more than twenty years ago. If you travel to Fuerteventura, do not miss any of these spectacular places, you will love the nature and the tranquility of the sea.